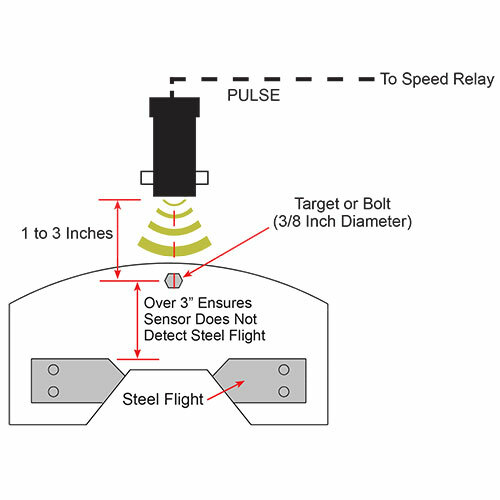 By using a WDA sensor in combination with a speed relay, ferrous steel flights or bolts on plastic paddles are used to monitor for broken or slack chain issues on drag conveyors. The WDA is a non-contacting extended range magnetic proximity sensor, not affected by dust or material build up, used to detect moving ferrous material up to 3 inches away from the sensor. 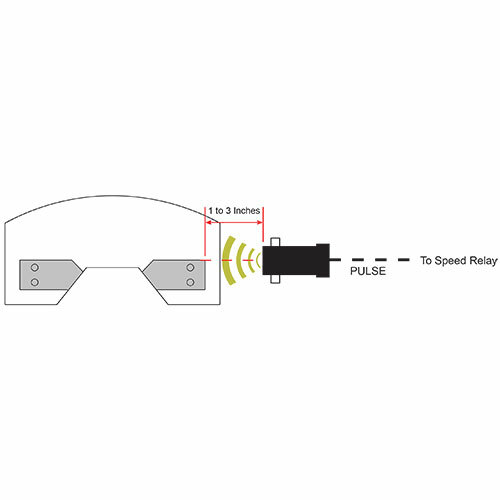 The speed relay is used to monitor the speed of a rotating shaft and detect if it rises or falls below a preset safety level. This simple solution can help to prevent equipment damage and downtime costs. Make sure that the yellow/orange wire is connected to the red wire, this powers the potentiometer (calibration screw). 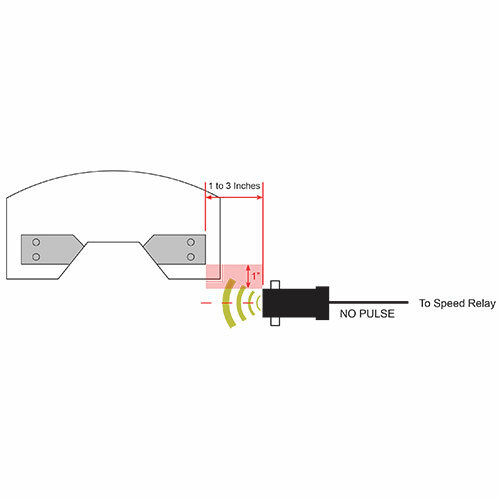 on the face of the sensor, objects can stick and interfere with the sensor. interfere or hit the WDA sensor.